That was my introduction to the "Made in Canada" line of Leica lenses. I was looking for a way to save some money on some of my lenses and was browsing the collection of used lenses on Red Dot Camera's website. I stumbled upon a listing that said said "Leica 50mm f/2 Summicron-M, Made in Canada." Next to that listing was another that said "Leica 50mm f/2 Summicron-M, Made in Germany." The asking price for the made in Germany one was significantly more than the Canada version. In the early 1950s, following the end of World War II and a resurgence in the global economy, representatives from the Ernst Leitz GmbH company began touring for a site to build a new production factory. The German company decided to extend operations into the town of Midland, Canada (in Ontario) and sent renown lens designer Walter Mandler to setup operations at the new factory. At the time, Leica claimed the motivation for opening the new factory in North America was to meet a demand from American customers, but the city of Midland certainly enticed the camera company by offering to pay to build the factory. 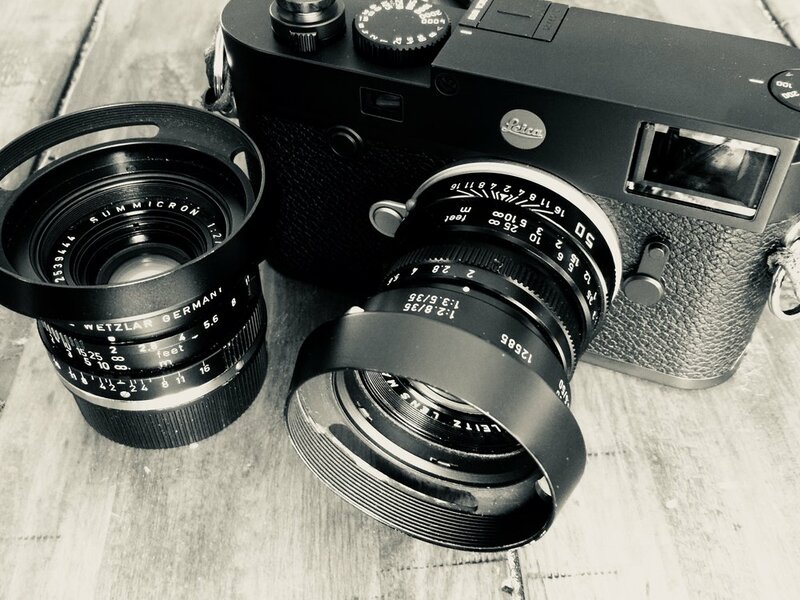 Lens designer Mandler - who designed some of Leica's most renown and famous lenses, including the 50mm Noctilux f/1 - ended up staying at the Canada factory to oversee operations, even though his trip to Canada was never supposed to be permanent. Ernst Leitz Canada opened in 1952. 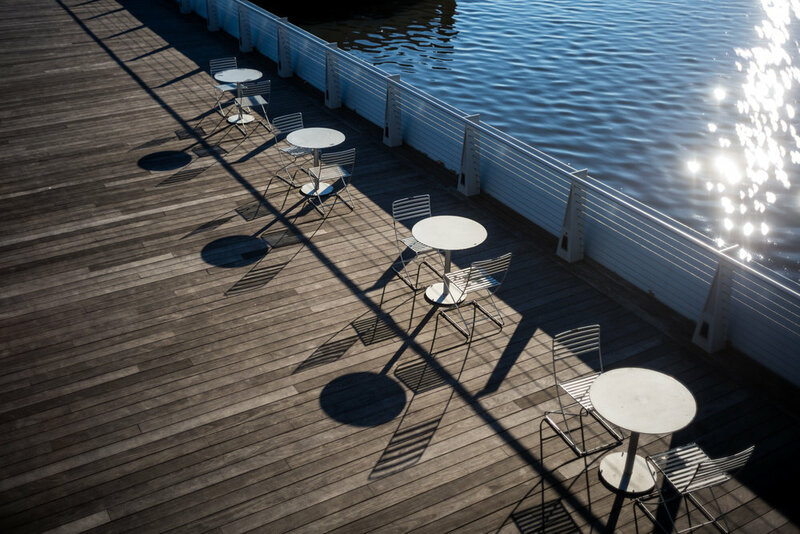 Moorings at the Navy Yard - Leica M10 with 50mm Summicron "Made in Canada"
M10 with 70year anniversary edition 50mm f/2 Summicon "Made in Canada"
As far as anyone is aware, the factory in Canada produced the exact same product, to the exact same standards, as the factory in Germany. While the internet speculates that the Canada factory had different barometric air pressure and cooler air, which thereby impacted the quality of the product made, there is no evidence to back up these wild claims. People who had toured both the German and Canadian factories recount how the interior workshops were setup and run nearly identically, with the same high standards for quality control and craftsmanship. Although there are no more lenses or cameras produced by Leica in Canada, the used market still has an abundance of "Made in Canada" samples. 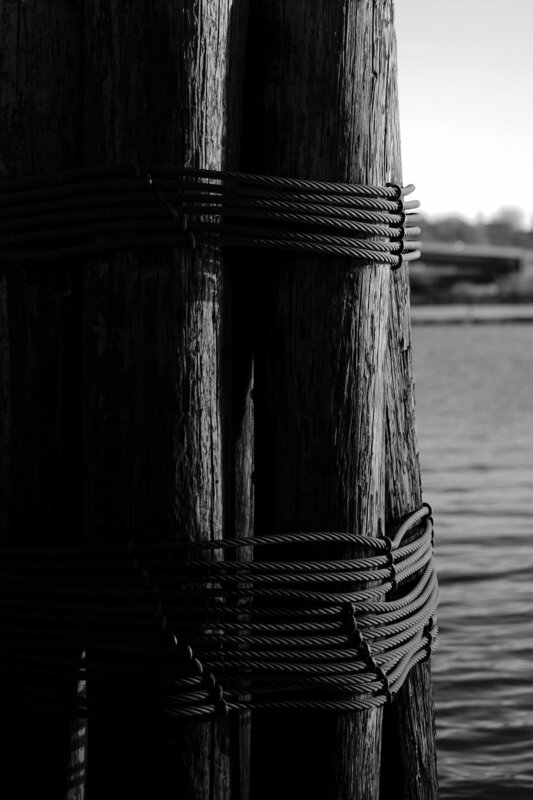 Tie Up, Navy Yard - Leica M10 with 50mm Summicron "Made in Canada"
Riverfront DC - Leica M10 with 50mm Summicron "Made in Canada"
I am a real photographer, who goes out and actually uses their equipment. I don't mind if my cameras show signs of use - that's part of using them! Since I am not a collector, I also don't care if a lens says "Made in Canada" or "Made in Germany." I bought my first Canada lens - a 50mm Summicron f/2, and was immediately hooked. I have since expanded my collection of M-lenses from Canada to include a 35mm Summicron f/2 and a 90mm Tele-Elmar f/2.8. Pedestrian Bridge - Leica M240 with 35mm Summicron "Made in Canada"
Over the Tracks - Leica M240 with 35mm Summicron "Made in Canada"
DC Construction - Leica M240 with 50mm Summicron "Made in Canada"
Turns out, there is a lot to love about Leica lenses from the 1970s-80s, which is the vintage of "Made in Canada" lenses I own. First is their compact size. Relative to a modern 50mm or 35mm Summicron, the older lenses are smaller and easier to tuck into a pocket. Second - and this is purely cosmetic - is that they take the old metal vented lens shades. Those look freaking cool! Okay, this wasn't a reason to purchase an older lens, but a fringe benefit. Third, these lenses don't have the modern coatings and designing that today's lenses carry. The result is that these older lenses have a unique character a look to them, one that is hard to describe in words, but that makes these lenses truly a joy to shoot. Christmas Tree Lot - Leica M10 with 50mm Summicron "Made in Canada"
Headed Home - Leica M10 with 50mm Summicron "Made in Canada"
The character of a lens, or it's mojo, is a difficult thing to describe in words. Advertisements use flowery language to try and describe lens mojo, but it often falls short of the visual product. To me, the character of the lens is the emotion it helps to impart. In my opinion, it's not always ideal to have the sharpest lens or the most optically perfect lens. Those lenses can yield files that are too clinical. A New York Crosswalk - Leica M240 with 35mm Summicron "Made in Canada"
Christmas in Pennsylvania - Leica M240 with 50mm Summicron "Made in Canada"
Take a chef, for instance. World renown chefs don't precisely measure the salt or spice they use. They work from their heart and use experience to create their artwork meals. Those of us who are are not inclined with the culinary arts will use a recipe and measure every ingredient precisely. Now which makes makes the better meal, the chef who was imprecise in their measurements, or the home cook that worked from a strict recipe? Most likely, the chef! People often become consumed with metrics like sharpness and forget the art of photography. They are so worried about the precise measurement of salt that they forget about the art and creativity of baking the cake. A New York Model - Leica M240 with 35mm Summicron "Made in Canada"
It is those imperfections that exist in an older lens that make them so special to me today; they offer a flair, a vignette, or a strong contrast that gives the image a unique quality. The same mojo that I get from my Canada-made lenses is no doubt available on the same German-made models, but at a price that is greater. I can't justify spending more money for a microscopic engraving on the front of my lens. Outdoor Dining - Leica M240 with 35mm Summicron "Made in Canada"
Based on my research, one of my lenses was made in 1972, making it 45 years old! I am obviously not the first owner of this lens... which excites me. 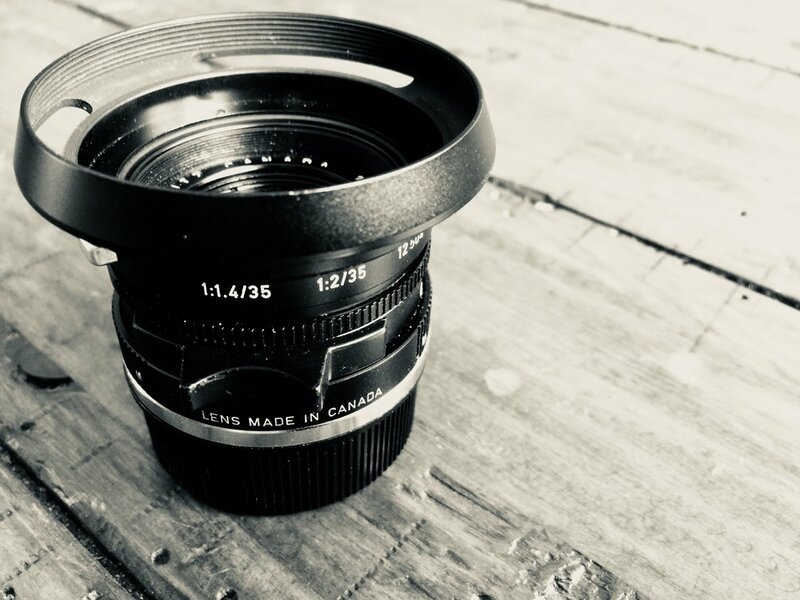 Where has this lens gone? What is the story of the other people who have used it? What sort of images has it made during it's lifetime? Is it possible that any of history's most iconic images were made with my lens? While it's unlikely, my creativity and passion is excited about the possibility. Wave Bench - Leica M240 with 50mm Summicron "Made in Canada"
Keep Out - Leica M10 with 50mm Summicron "Made in Canada"